The name of Microsoft's latest free Anti-Virus freeware is "Microsoft Security Essentials" good for windows 7 and older! This Freeware provides real-time protection for your Personal Computer that guards against viruses, spyware and other malicious software. I tested the "Microsoft Security Essentials" on Windows XP, Vista and Windows Seven Starter and Pro. Some Screenshots of "Microsoft Security Essentials" (c) Microsoft on Windows-7 . (Image-1) Microsoft Security Essentials Installation Security Essentials helps enhance the security and performance of your computer. Security Essentials is continuously updated with new features and services that may require sending additional information to Microsoft. To learn more, read the Privacy Statement. The latest updates will download after the installation completes. 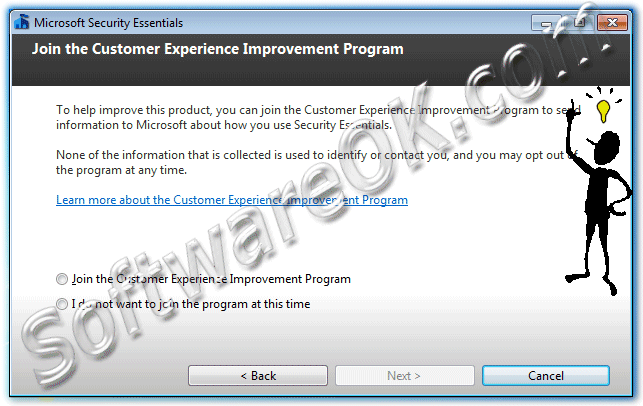 (Image-3) Microsoft Security Essentials Customer Experience Improvement Program To help improve this product, you can join the Customer Experience Improvement Program to send information to Microsoft about how you use Security Essentials. In order to optimize your computer protection, you should use a firewall. If you do not have a firewall turned on, Security Essentials can turn on Windows Firewall during this installation. Windows-7 - FAQ-43: Where is the free antivirus freeware for MS Windows 7? 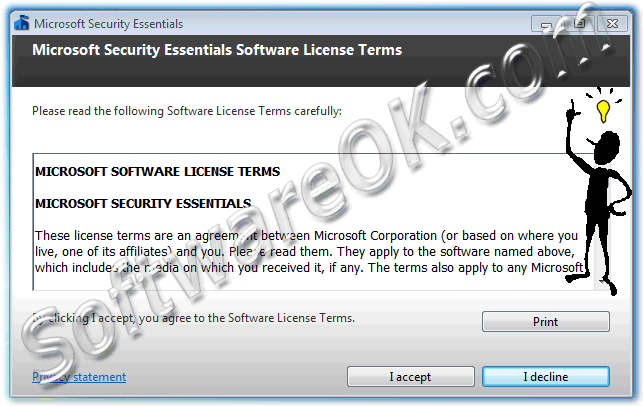 Microsoft security essentials for windows 7 starter? How to enable antivirus in windows 7? Free antivirus for windows7 basic? 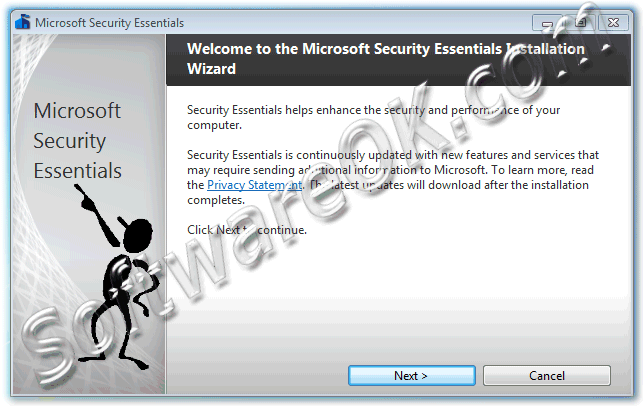 Microsoft security essentials free download for windows 7 starter? Microsoft free antivirus for windows 7? Freeware voor windows 7 (Windows 7 Professional and Windows 7 Starter)? Antivirus microsoft windows 7 starter? Freeware antivirus for windows 7 starter? Antivirus for windows 7 starter? Windows 7 freeware from Microsoft (Windows 7 Home Basic and Premium)? Free windows7 stater anti virus? Security essentials download free for windows 7 starter? Microsoft security win 7 starter? Microsoft security essentials win 7 starter? Microsoft security essentials for windows 7 stater? Freeeware antivirus windows 7 starter? Windows 7 freeware from Microsoft? Antivirus microsoft security essentials free download windows 7 Starter / Professional / Ultimate? Windows 7 Home Basic Activate microsoft antivirus, and how to activate free windows antivirus? Free small antivir freeweare for Win 7 professional latest microsoft anti virus downlodes? Windows 7 Home Premium How to activate antivirus in windows 7?